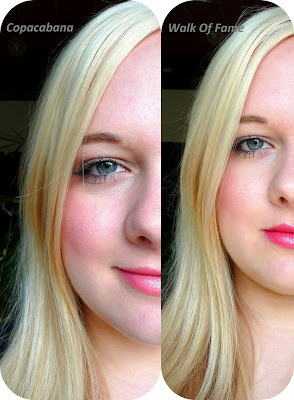 Yesterday I bought two great summery lipsticks and I just wanted to swatch them for you! The quality is really good for this price, of course it's nothing like MAC or other high-end brands but I like the colour range of the P2 lipsticks and they are great if you like some variety and you don't want to spend 18 € on only one lipstick. The colours I bought are 059 Copacabana and 142 Walk of Fame. 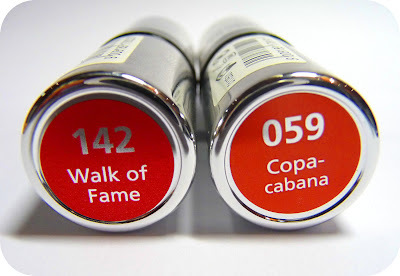 Copacabana is a coral pink with an orange undertone and Walk of Fame is a vividly coloured reddish pink. 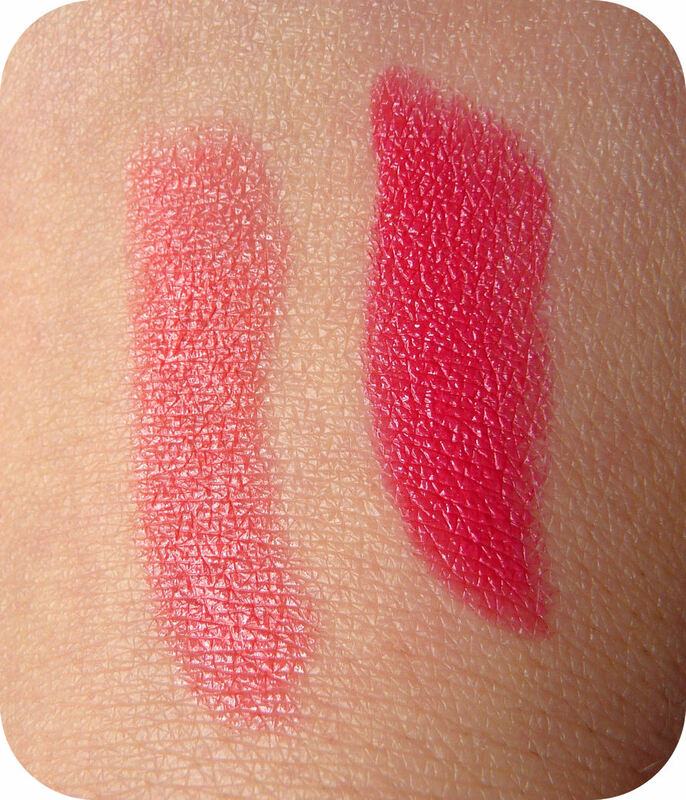 Copacabana isn't as longlasting as Walk of Fame and a bit more difficult to apply as the colour doesn't apply evenly and you can sometimes see it bleeding into your lip wrinkles, but I love them both! 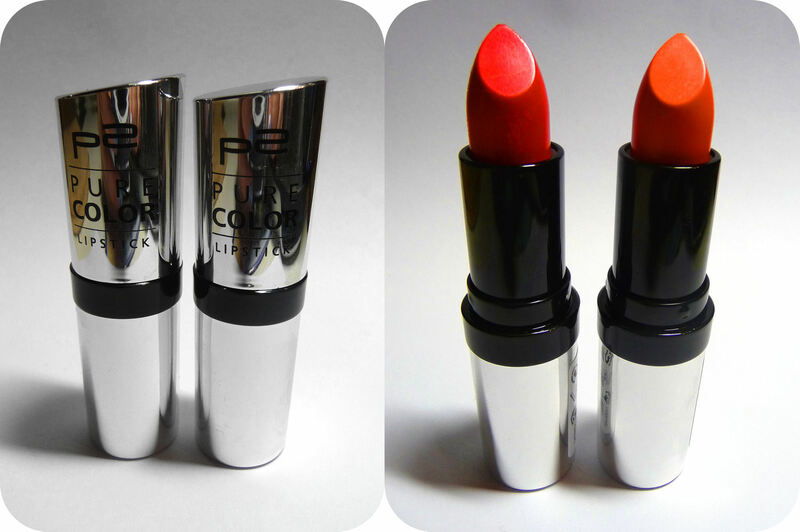 Well, I hope you give them a try, some of the colours P2 has are really gorgeous!